Being in debt can be a confusing, unnerving time but we are here to help! We've put together some great tips and advice to help you make better sense out of your debt. We all know the importance of physical exercise, but your mental health is just as important, especially when faced with worries and concerns about debt. 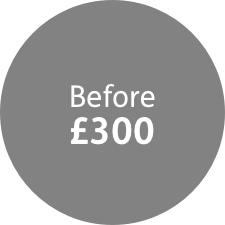 With over 20 years’ experience in the industry, at Aperture we believe it is our approach, vision, values and team that have helped make over 30,000 clients debt free. Thank you for completing the form. Based on the information provided we can help you find the best solution. So keep your phone free and expect a call from us. 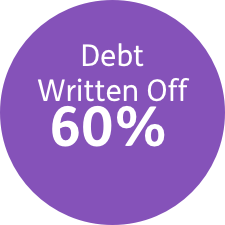 Aperture are the UK's leading Insolvency Practitioner and can offer you a debt solution to help write off unaffordable debt. Your advisor will go through your debts and see how much you can afford each month. They will discuss all options available to you so you can make an informed decision. 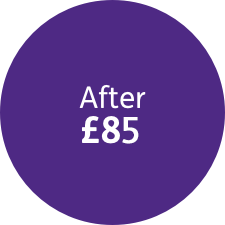 Find out how an Aperture IVA can reduce your debt by up to 85%. This example is for illustration purposes only and based on a typical 60 month IVA. Monthly payments and debt written off are based on individual circumstances. This website at www.apertureiva.com is owned and operated by Aperture Debt Solutions LLP, a limited liability partnership registered in Northern Ireland, No.NC001303, VAT Number 226953096. A list of members is available from our registered office: Water's Edge, Clarendon Dock, Belfast, BT1 3BH. Elaine Masters, Carol Sabrina McGurk, Antoinette Thorpe & Jacqueline Westerman are licensed to act as Insolvency Practitioners in the UK by the Insolvency Practitioners Association. Rikki Burton is licensed to act as an Insolvency Practitioner in the UK by the Institute of Chartered Accountants in England and Wales. For more information on the Regulations & Guidance policies we adhere to, please visit the Insolvency Practitioner site here. We hold the appropriate Professional Indemnity Insurance and coverage is worldwide. © 2019 Aperture Debt Solutions LLP. All rights reserved. Sabrina McGurk, Elaine Masters, Jacqueline Westerman and Antoinette Thorpe are licensed and regulated to act as Insolvency Practitioners in the UK by the Insolvency Practitioners Association. Rikki Burton is licensed and regulated to act as an Insolvency Practitioner in the UK by the Institute of Chartered Accountants in England and Wales.